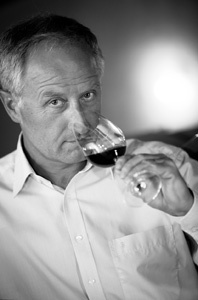 The new master of the vineyard: an impassioned winemaker, with 30 years’ experience of the Graves terroir. Like Montesquieu, I was born in the magnificent Graves region, a few kilometres from Château de La Brede and, like him, I have remained deeply attached to my roots. The son of a winemaker, my love for of this profession began at a very early age. After years by my father’s side and oenology studies at the Tour Blanche, I set out on my own to work on this Graves terroir that I value so highly. That was a little more than 30 years ago. years spent following the seasons and the vineyard cycle, to move forward with strength, tenacity and an open mind. Because the world of wine is evolving rapidly and demands a constant challenge of the status quo. At 53 I am still learning every day and see each vintage as a fresh start with nothing taken for granted. It is with great pleasure that I have taken on the management of Montesquieu’s vineyard and also with a deep sense of humility. Naturally I am a fan of his writings, but also of his work as a winemaker: from the avant-garde production methods that he used in his vineyard to his ability to successfully market his wines. Qualities that are essential in modern day winemaking! My respect and admiration for this great figure is further increased by his commitment to the defence of Bordeaux wines.